BN Blinds and Curtains supply to both the retail and commercial sectors. BN Blinds and Curtains Ltd started trading in September 2011. 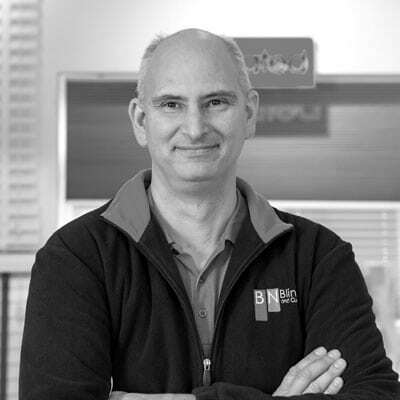 Since beginning trading as a man with a van with samples to show customers in the home BN Blinds has made great progress and opened it’s first store in February 2016 in Little Common, Bexhill On Sea. We now cover Shoreham to Rye along the south coast and as far north as Haywards Heath and Uckfield. We have recently completed larger projects further afield however in Reading, London and Broadstairs. BN Blinds and Curtains supply blinds, curtains, shutters, flyscreens and awnings to both the retail and commercial sectors. From our extensive range, of fabrics for roller blinds and vertical blinds, our comprehensive range of venetian samples or our thousands of fabrics from our curtain material suppliers we can cover any window and create looks both modern, contemporary and traditional for your home. View some of our recent works to give yourself ideas and call us for advice. We are always happy to help and our consultations and quotations are free. 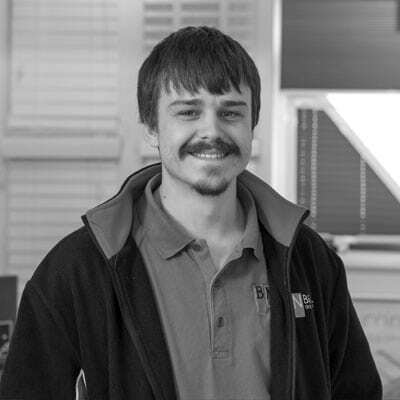 Ricky started the company after spending ten years in the trade firstly making blinds in a factory and then as a curtain and blind fitter and estimator. 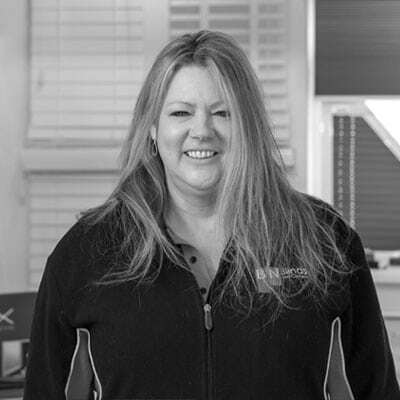 Kates previous experience in running a small post office has been invaluable in keeping the business successful and well organised. Jonny is building his experience in the trade and has already had great comments from our customers regarding his work and politeness. 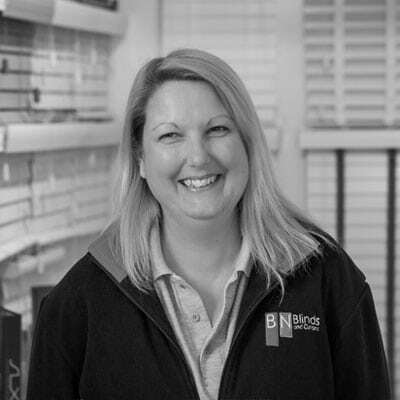 Jo’s duties include administration and running our ongoing maintenance contract with the Hastings Direct offices in Bexhill.